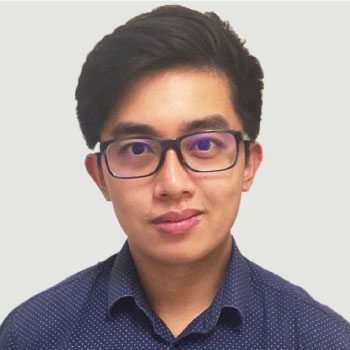 Dr Kerry Ho graduated in 2016 from the University of New South Wales with the Bachelor’s Degree in Vision Science and Optometry. In his studies, he has gained a varied range of training in various places. In Australia, he has spent time working with optometrists and ophthalmologists in the Australian College of Optometry and the Royal Hobart Hospital. He has developed Ophthalmological imaging when working in the Centre for Eye Health. He also has learned about low vision, school screenings and paediatric optometry working in a private practice in optometry. Kerry has studied in the Southwest Chongqing military hospital, learning about myopia control and rarer diseases in Asia. 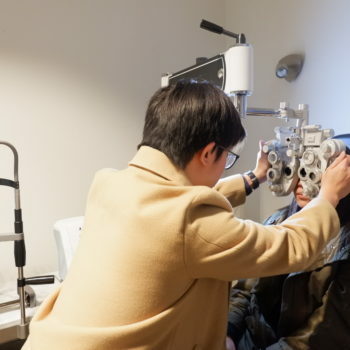 Dr Kerry Ho is therapeutically endorsed and has been trained to address a various range of eye conditions such as inflammation, glaucoma and common anterior eye diseases. He has a spent a year researching about the shape of the cornea and its possible clinical applications to contact lenses. As a result of his previous work, he has a special interest in Orthokeratology and other forms of myopia control. In addition to speaking fluent English and Vietnamese, Kerry also knows basic Japanese. Kerry has been involved various humanity services. He has volunteered for charity services such as Sir Roden Cutler, Jeans for Genes, Cancer Council and Daffodil Day. He has also spent time helping the nurses in his local nursing home. He has worked in Cambodia to deliver food and medicine to those living under the poverty line. Outside these activities, Kerry enjoys travelling overseas and taking in new cultures. He also plays pool and video games in his spare time.